The evolution of a galaxy is driven by star formation. Typically a galaxy will enter a period of active star formation in its youth, and then star formation will gradually taper off as the amount of available gas and dust decreases. Since bright blue stars live much shorter lives than small red ones, over time an aging galaxy becomes less active and more populated by red stars. But sometimes this can happen quite quickly, and a recently discovered galaxy demonstrates just how quickly. 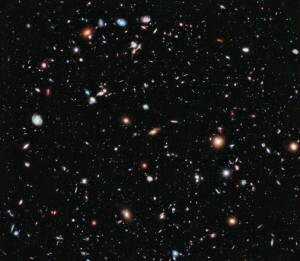 The galaxy is known as ZF-COSMOS-20115, and we see it as it was when the universe was just 1.6 billion years old. The galaxy is five times more massive than our current Milky Way, but it’s stars are packed into a region less than a tenth of our galaxy. 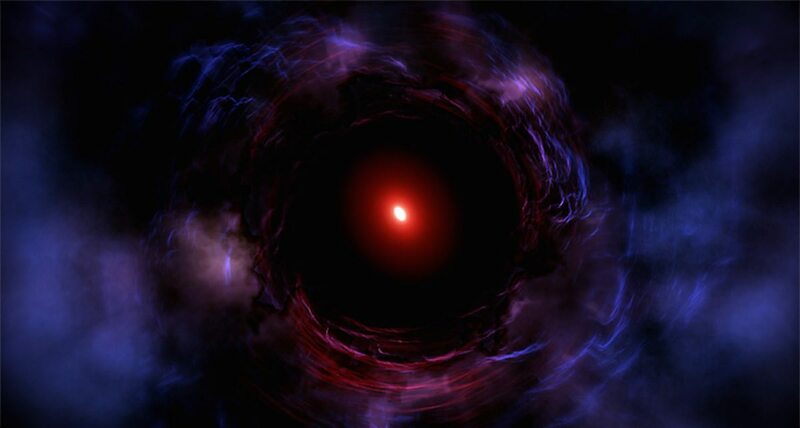 The galaxy is dominated by red dwarf stars, making it a dense red galaxy. When the universe was less than a billion years old, this galaxy was producing stars at a rate of more than 1,000 per year. Most galaxies at the time were producing about 100 stars per year. This rapid star formation drove gas and dust away from the galaxy, leaving it with few resources to continue producing stars. The bright young stars lived short lives, and then died as supernovae or white dwarfs, leaving the small red dwarfs to continue burning. Just what triggered such a powerful period of star formation is unclear. It’s also not clear how common such galaxies were in the early universe. Because of their dimness and distance, they are very difficult to observe. This could change when the Webb Space Telescope comes online in 2018. For now, it is clear that some galaxies live very vast, and die very young indeed.